Welcome to the writer’s workshop day. I had to chose a topic to write about. I was little torn this week between a few of them. For example, I could write a blog post inspired by the word pair or something my child has said that made me smile. The third choice was to write about my favorite musical artists from back in the day. So what did I choose? During Spring Break 2019, we traveled down to Chattanooga. While there, we enjoyed the scenic views of Lookout Mountain. We also visited Ruby Falls, the Tennessee Aquarium, and the Chattanooga Zoo. We also looked for ghosts and ghouls on a ghost tour. Enjoy our spring break/ 20th wedding anniversary trip. After finishing up at River Journey, we went and got some fries and a drink. My blood sugar was off at that moment so I needed sugar and complex carbs. While Hubby finished off the snack, I took photos of the area. Over Labor Day weekend of 2017, I went to Pittsburgh to visit my aunt and cousin. My friend Molly also came along. Once we got down to Chattanooga, we visited the Tennessee Aquarium. Instead of being in one building, it’s in 3 different buildings. Actually there is a 4th building where you buy the tickets. Today was the first day back after spring break. It is also the day before our long and tedious testing period. So I took it “easy” with the students. I helped them with their review packet or I played an academic game with them. 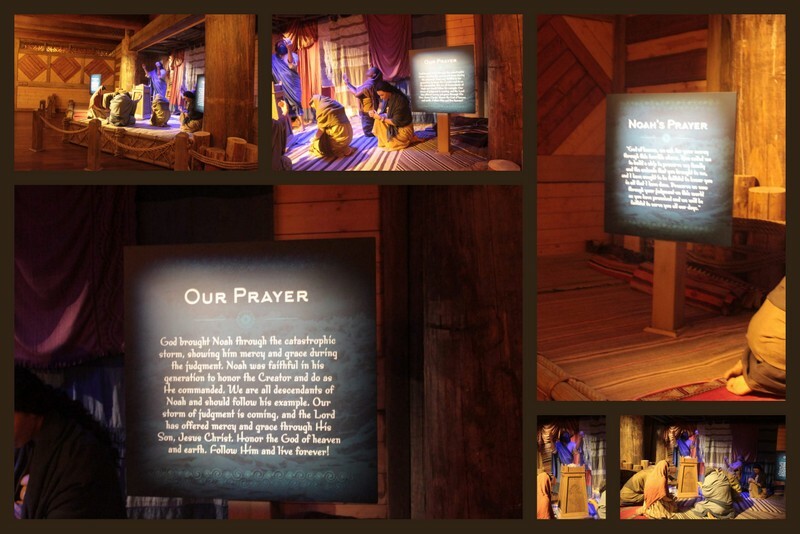 In December, my church made a trip down to the Ark Encounter in Williamsport, KY. Join me on Saturdays as we explore this majestic building. After you pull up to the Ark Encounter, you usually have to park your car and then ride a bus to the actual ark. We just stayed on the bus. It’s a surprise when you actually pull up to ark. You see how massive it truly is. 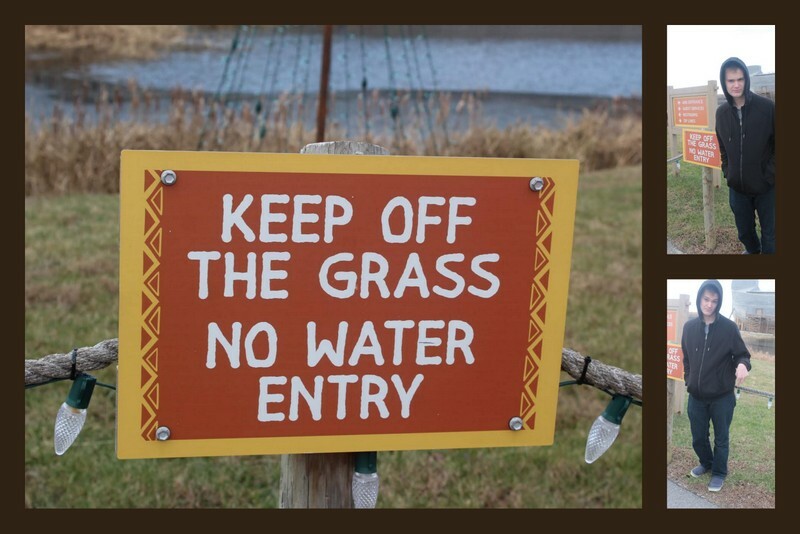 The Oldest thought it was funny to put his feet on the grass just because it said keep off the grass. These topiaries that were lit up after dark. 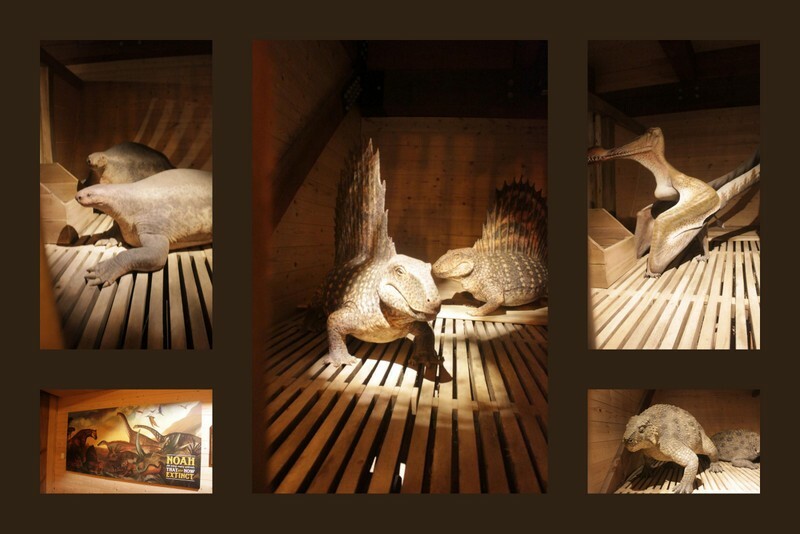 Some of the animals that could have been on the Ark. Looking Up – The boys thought it was funny to go up to the second floor and say high to me. This was right before the Youngest decided to throw his hat down to me. This was right before you went up to the second floor. 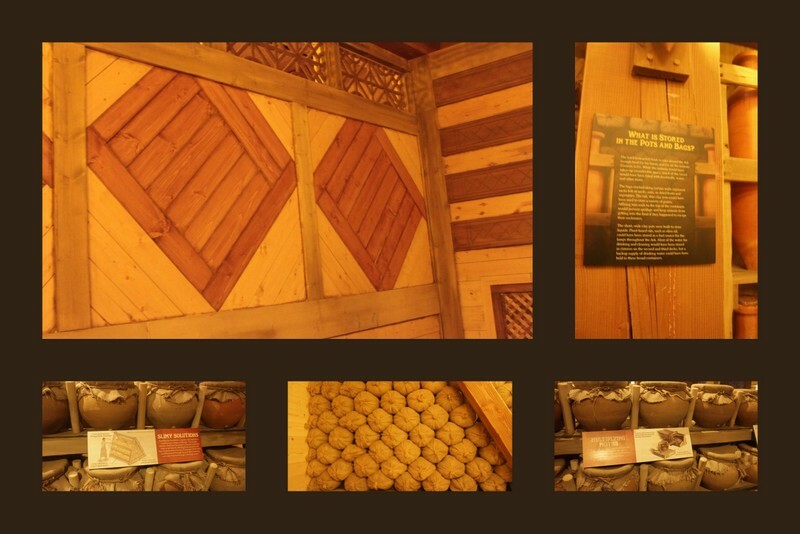 There was a model of the Ark and information about how truly big it was when Noah spent 100 years building it. Join me next week for the tour of the second floor. 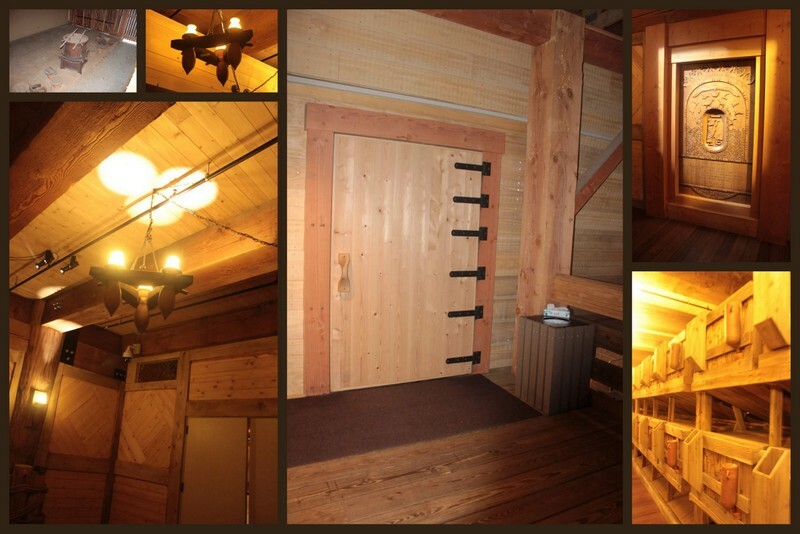 You’ll get to see the door that was used to get in and out of the Ark and a llama. We left on Monday morning after getting the boys ready for the day. It was only 22 degrees. My short sleeves and jean jacket didn’t keep out the cold. I couldn’t wait to be in a slightly warmer area of the United States. Here is a list of what I’ve accomplished this week. This is an unusual week because I’m on Spring Break. We traveled this week so some of these not what I typically do in a week. 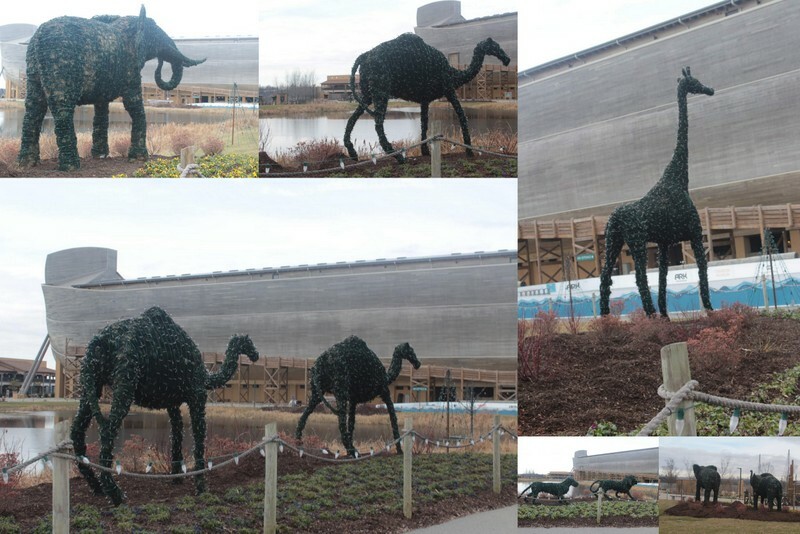 Early December, my church decided to travel 2 hours south to the Ark Encounter in Williamsport, Kentucky. During the Christmas season, they had lights that were absolutely beautiful. We have a tradition of going to a local ice cream shop on most Thursday evenings. Yesterday the Oldest got a brownie sundae. I’m surprised the dog was not begging for any of the whipped cream or ice cream. Yummy!